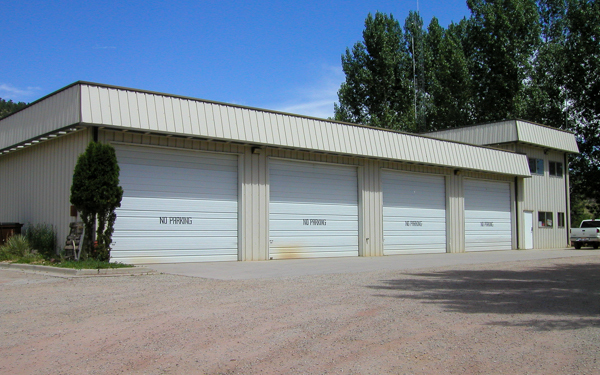 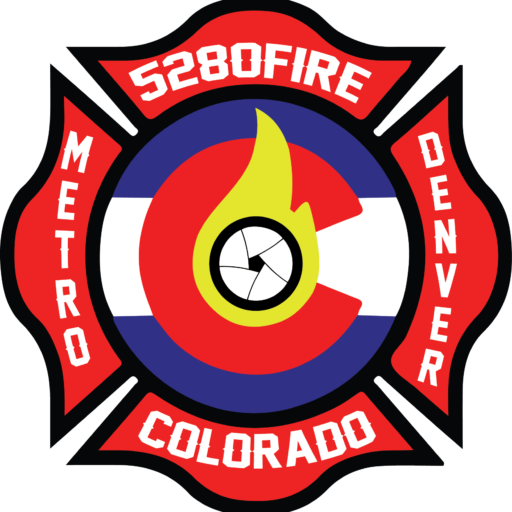 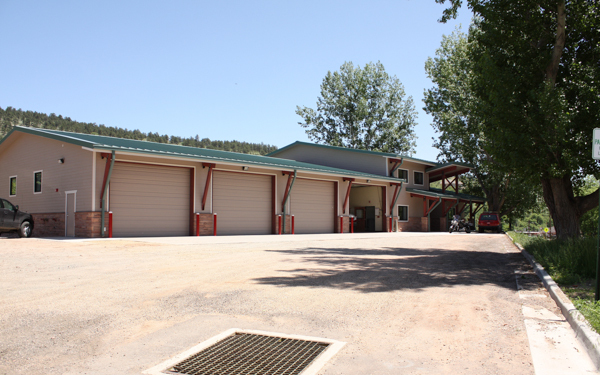 Fire Station 1 is located at 251 Broadway. 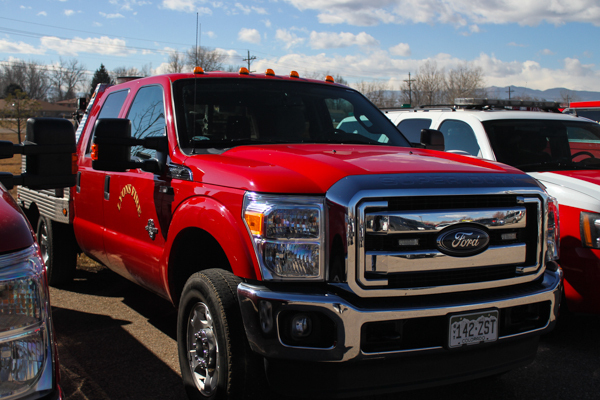 Ford F-350 4×4 XLT Super Duty. 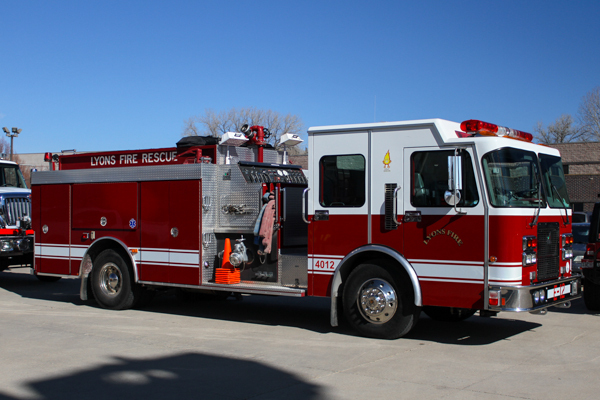 (Engine 11) 2013 International 7400 4×4 / Rosenbauer Timberwolf 650 gallon water tank / 1000 gpm pump with 20 gallons of foam. 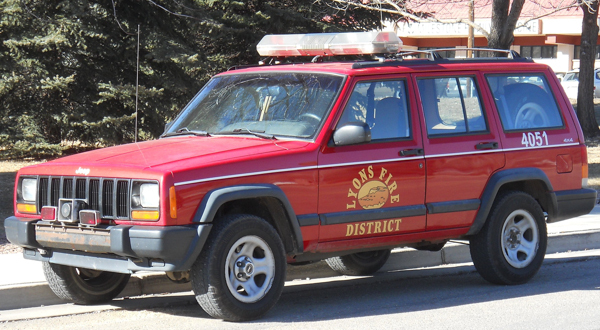 (Engine 12) 1997 Smeal (C-802-CC / 791310) 750 gallon water tank / 1250 gpm pump with foam, twin to Engine 4015. 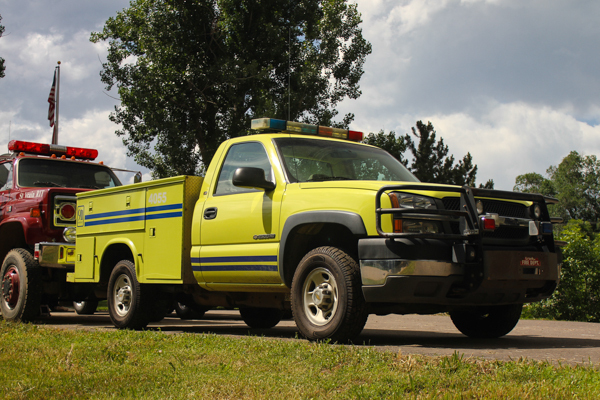 2015 Ford F-350 4×4 XLT Super Duty / Braun North Star (2433-1). 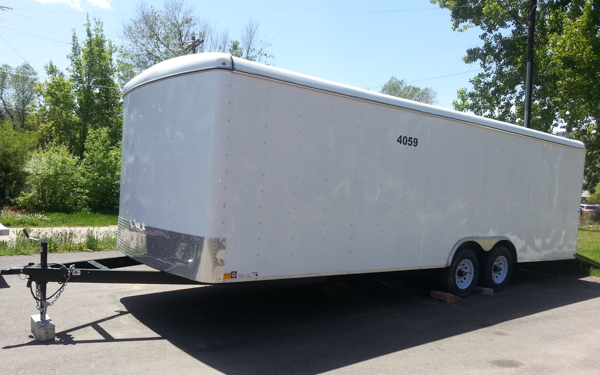 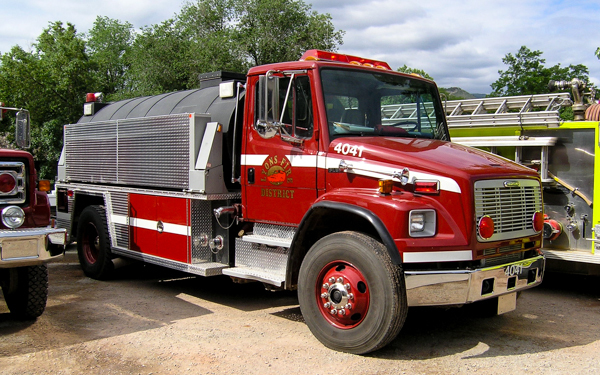 2008 Dodge 5500 4×4 / Rosenbauer Fire Cat Type 6 400 gallon water tank with 20 gallons of foam. 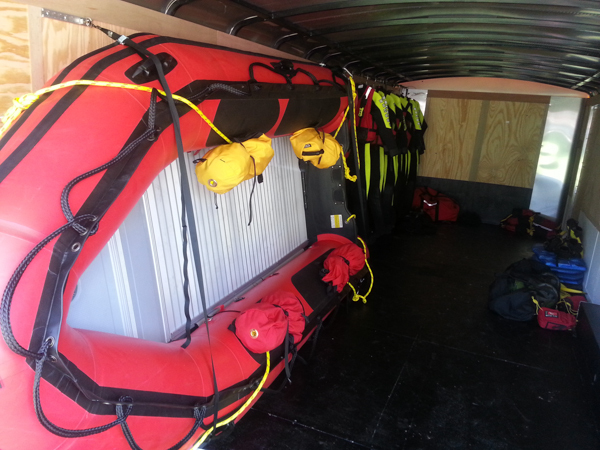 2013 Dodge Ram 5500 Crew Cab 4×4 / Rosenbauer Type 6 400 gallon water tank with 20 gallons of foam. 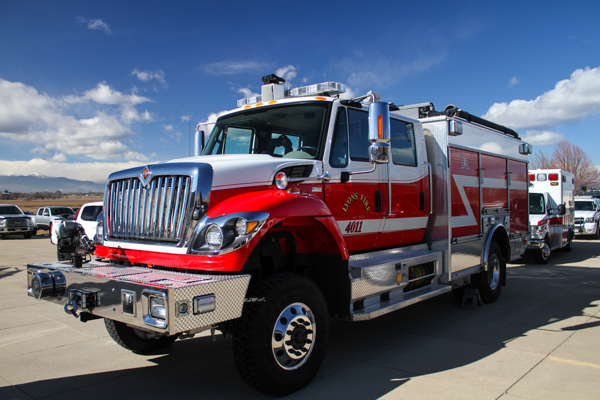 2011 International 7400 4×4 / Rosenbauer Timberwolf 2000 gallon water tank / 300 gpm pump (Waterous) with 20 gallons of foam. 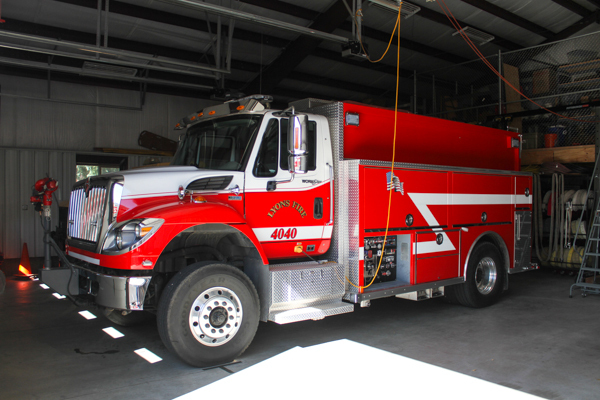 Freightliner / Welch 2500 gallon water tank with a port-a-pond. 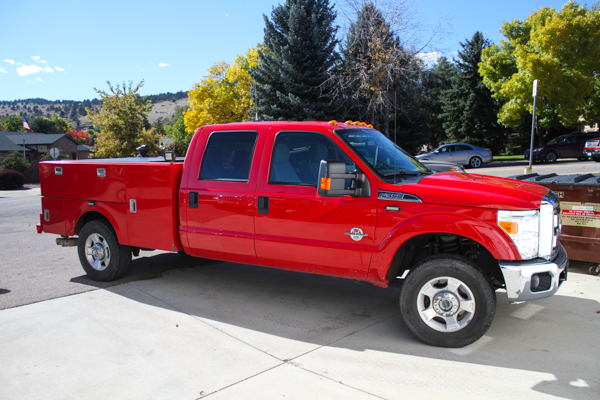 Ford F-250 4×4 XLT Super Duty 250 gallon water tank, also used for transport. 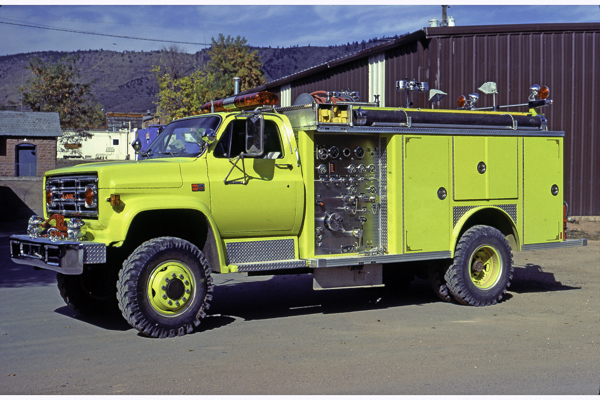 4×4 Chevy (Support / Transport). 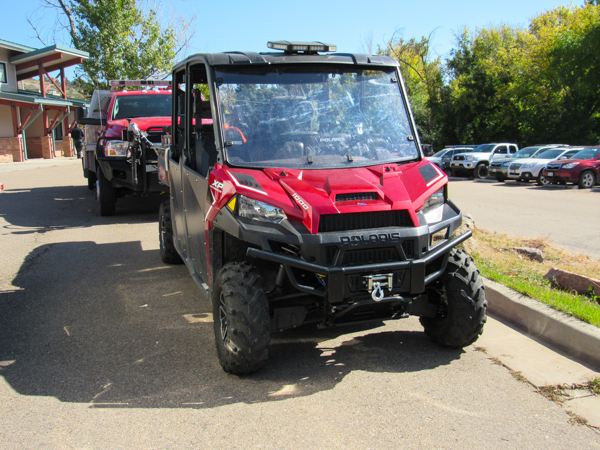 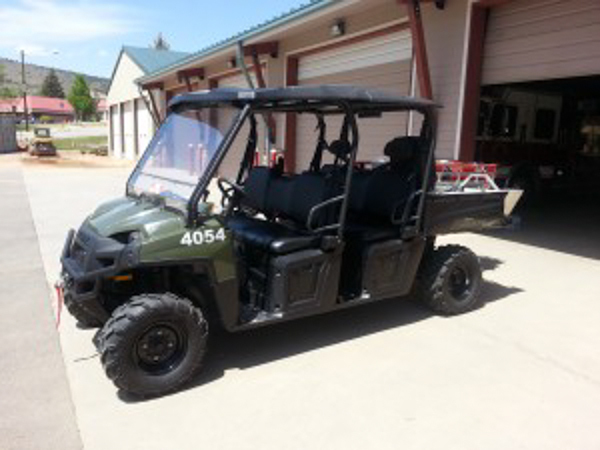 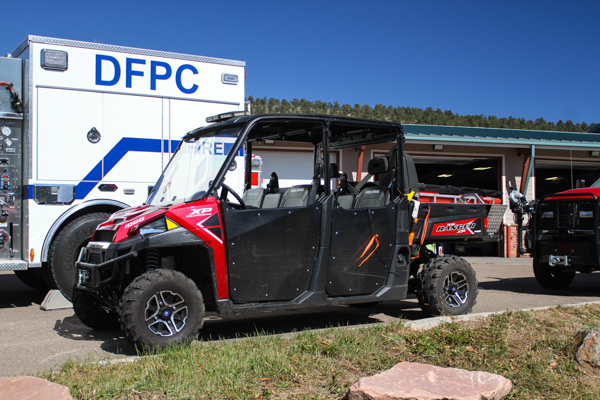 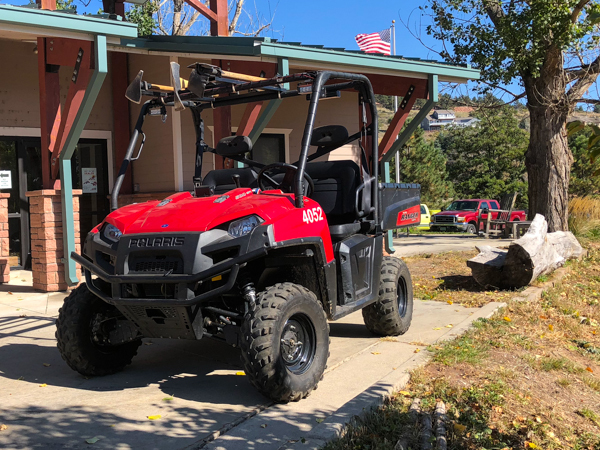 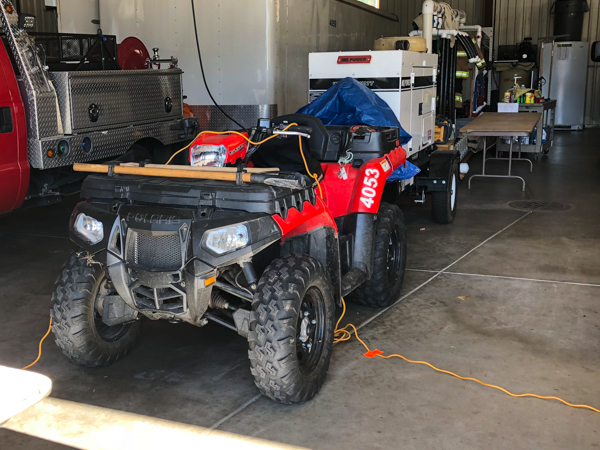 4×4 Polaris Ranger XP 1000 UTV. 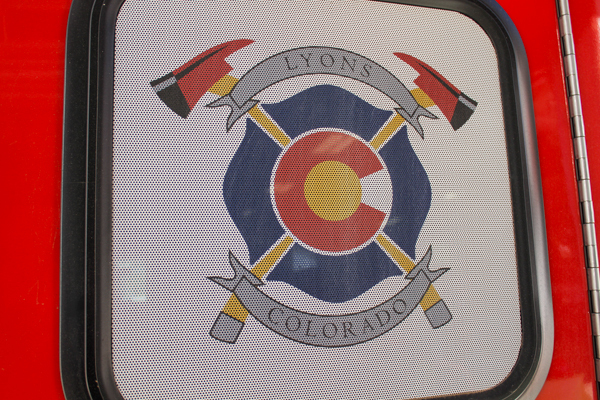 Fire Station 1 located at the current location on Broadway. 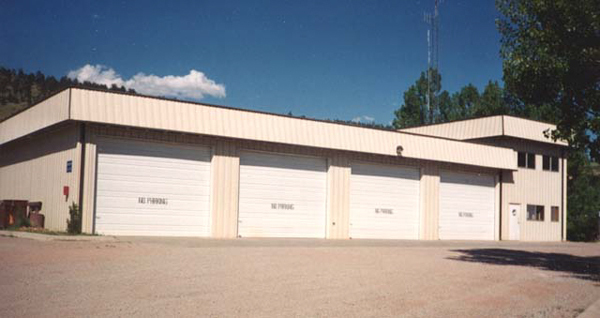 Shown here in 2004 before the remodel. 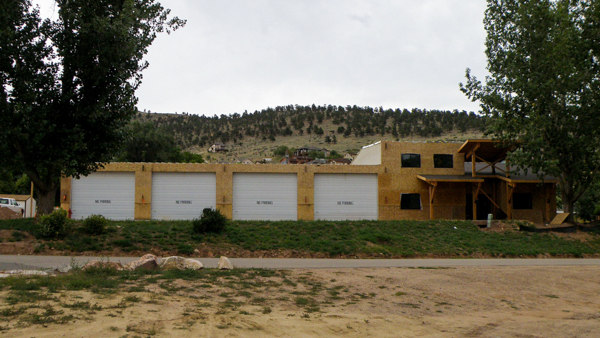 Shown here in 2008 during the remodel. 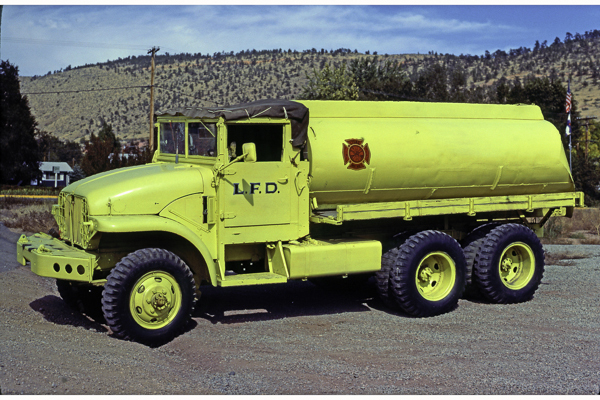 1953 Ford F / American 500 gallon water tank / 500 gpm pump. 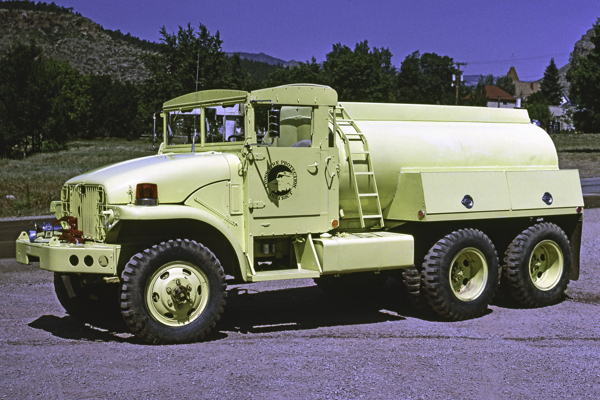 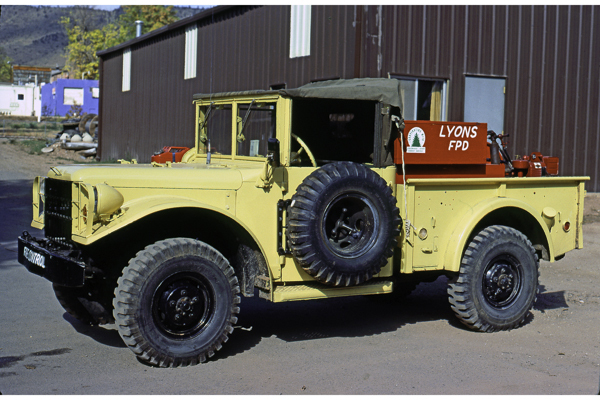 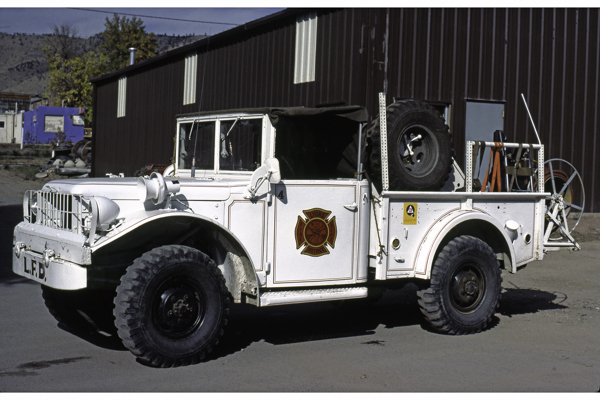 1954 Dodge M37 150 gallon water tank (Colorado State Forest Service Unit). 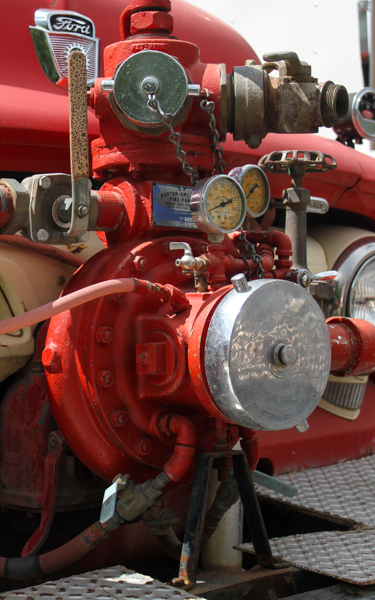 1954 Dodge M37 150 gallon water tank. 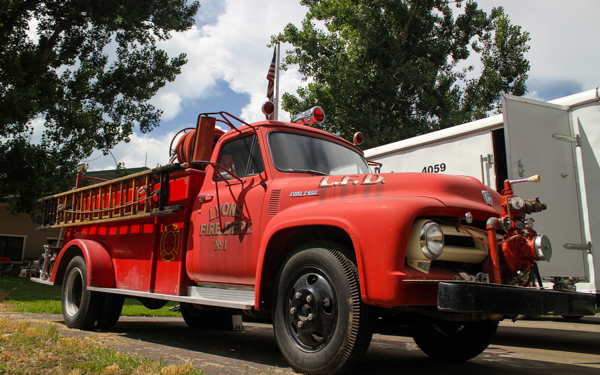 1954 GMC M220 1500 gallon water tank. 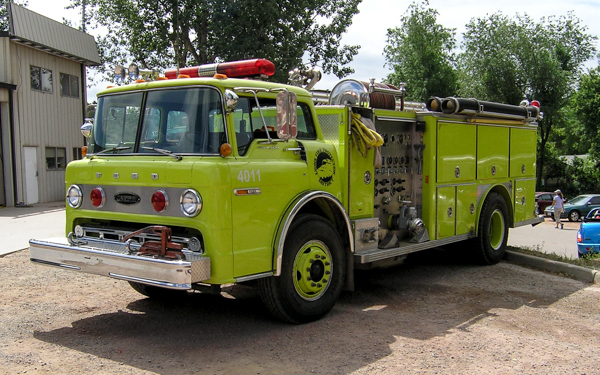 1959 Crown 300 gallon water tank / 1250 gpm pump. 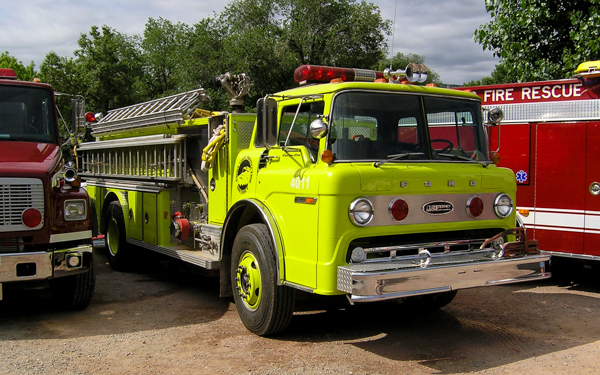 1962 Ford C600 500 gallon water tank / 125 gpm pump. 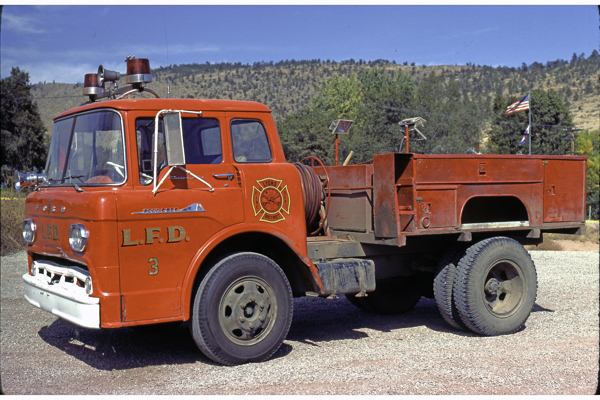 1979 Ford 500 gallon water tank, also ran as Engine 5 & Engine 4011. 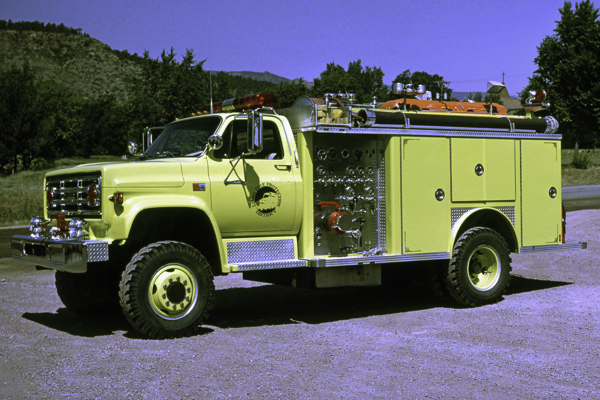 1981 GMC 7000 4×4 / E-One (1810) 500 gallon water tank / 750 gpm pump, also Engine 10 & Engine 4010. 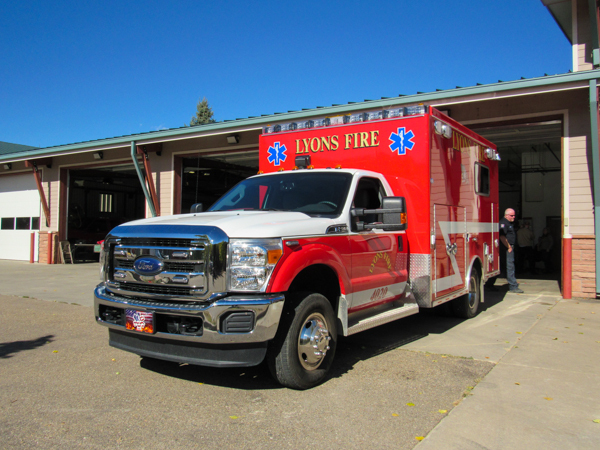 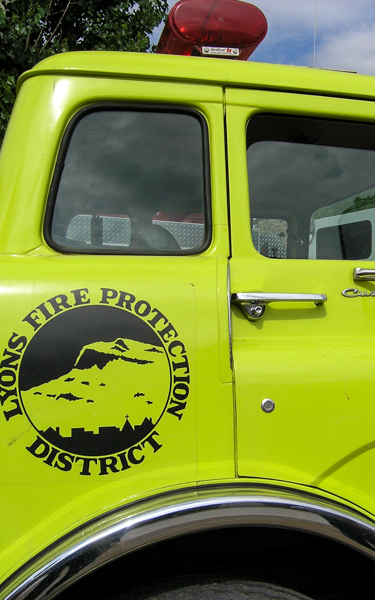 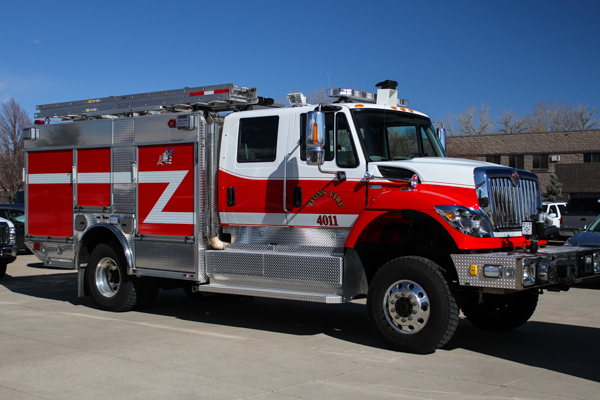 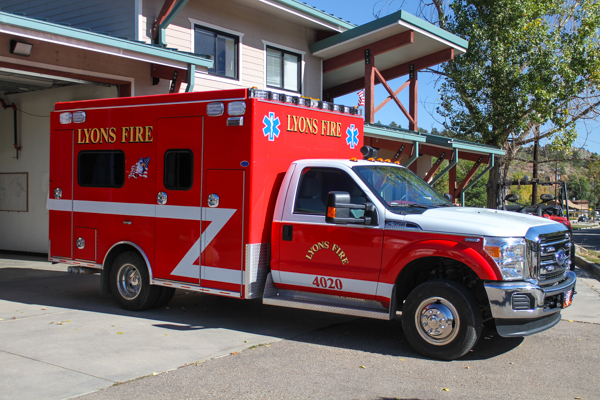 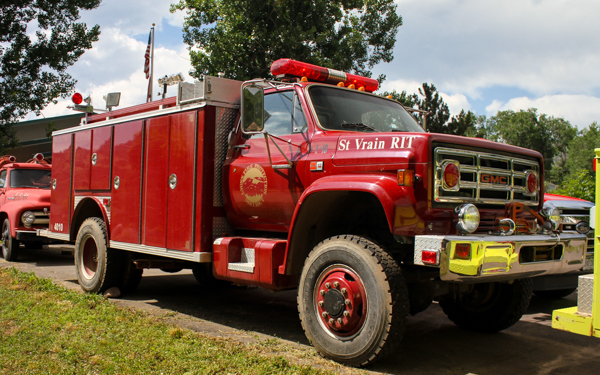 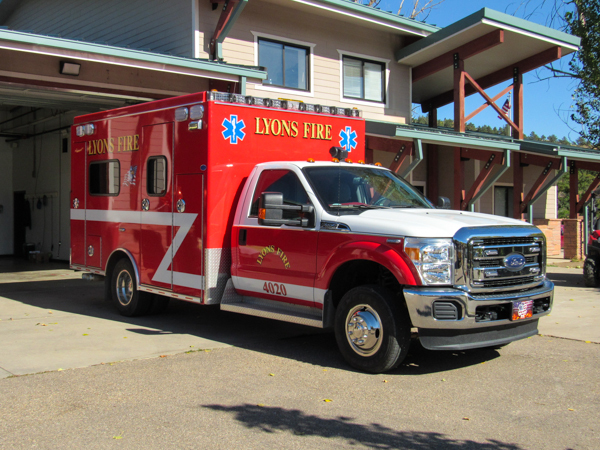 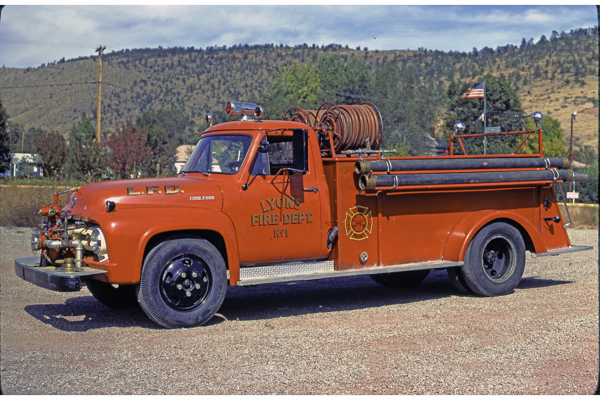 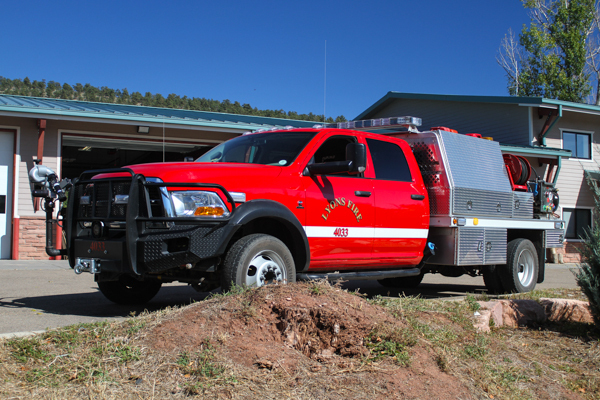 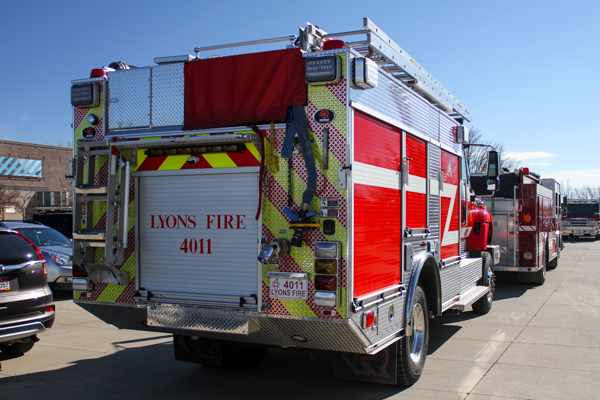 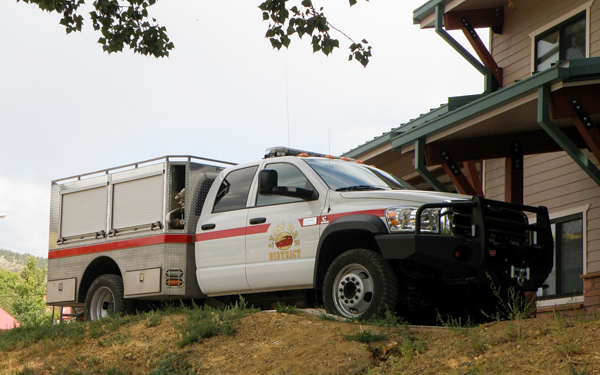 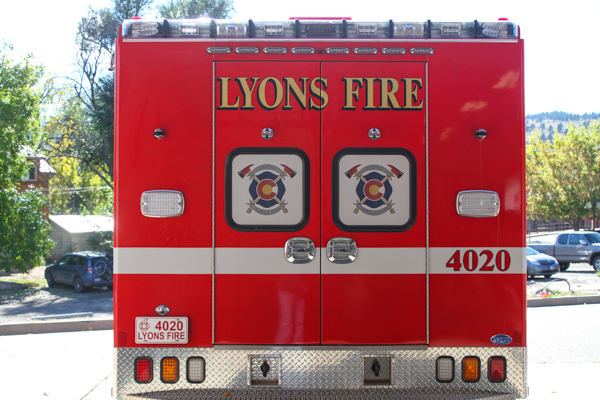 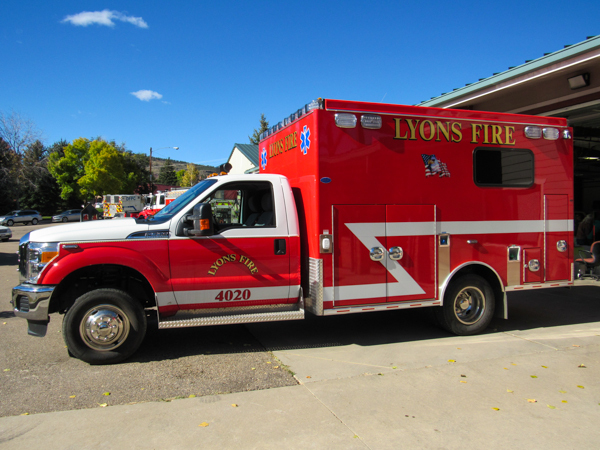 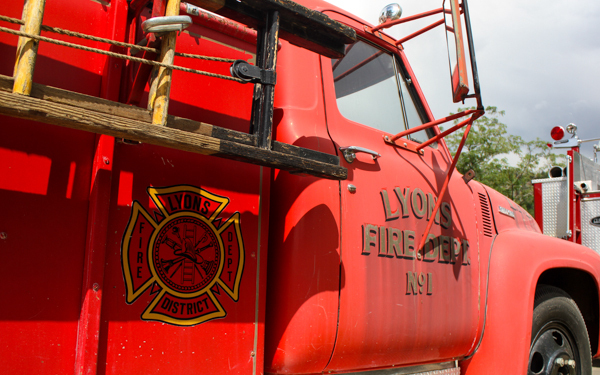 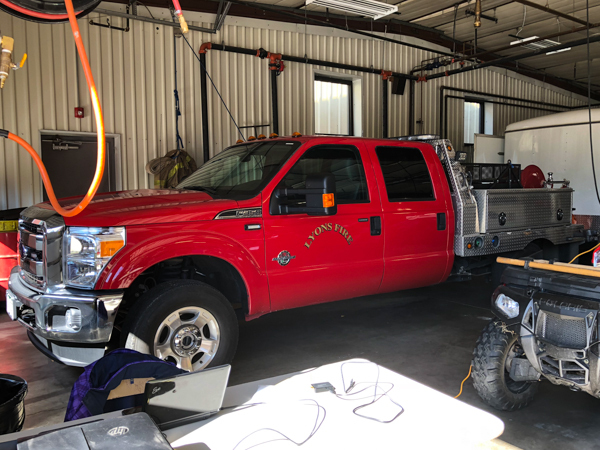 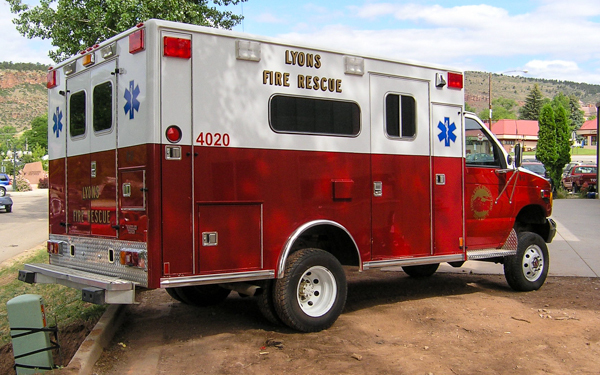 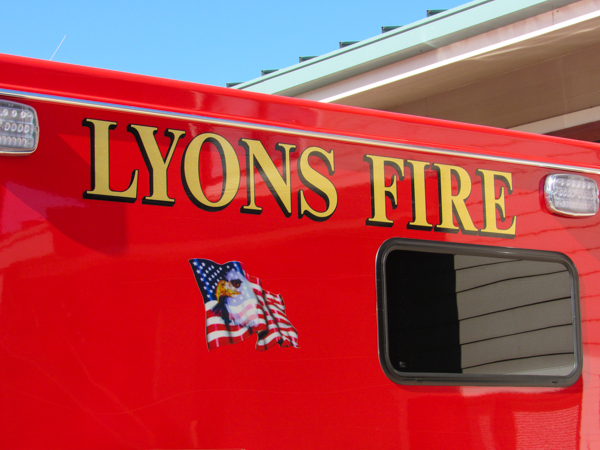 1981 GMC 7000 4×4 / E-One 500 gallon water tank, shown here repainted red and part of the Saint Vrain Rapid Intervention Team, also ran as Engine 1, Engine 4 & Engine 4010. 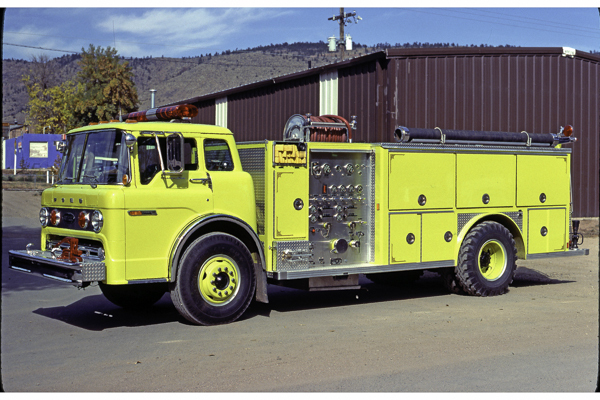 1981 Ford C-Series / E-One (1811) 1000 gallon water tank / 1000 gpm pump, also ran as Engine 4011. 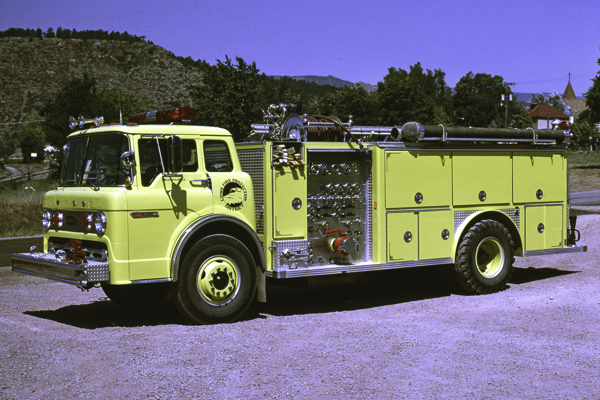 1981 Ford C-Series / E-One (1811) 1000 gallon water tank / 1000 gpm pump, also ran as Engine 5. 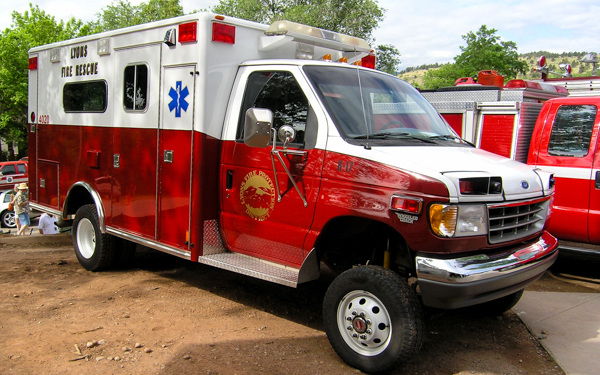 Rescue 4020 (R-17) 1992 Ford F-350 4×4 XLT Super Duty / Wheeled Coach, twin to Rescue 4027. 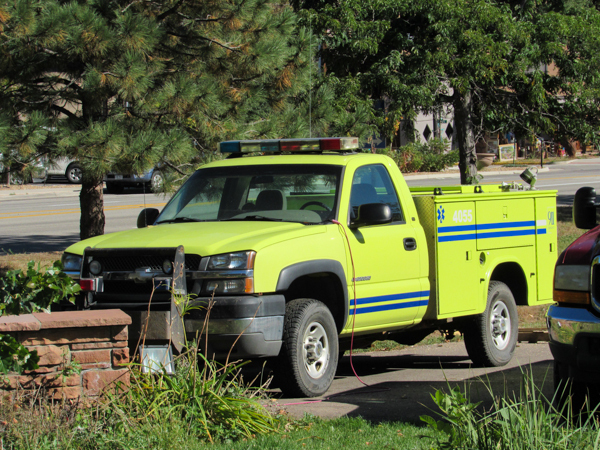 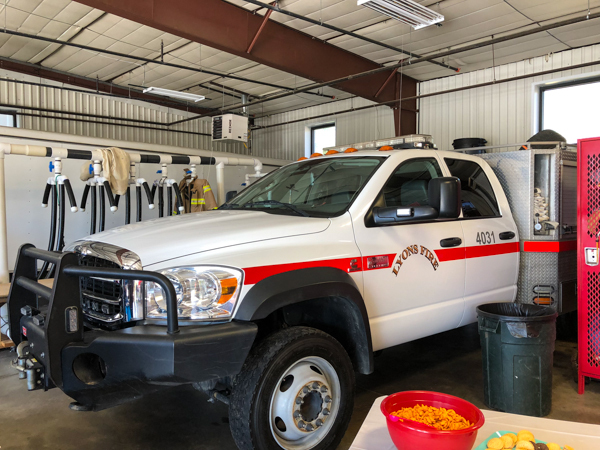 2008 Dodge 5500 4×4 / Rosenbauer Type 6 400 gallon water tank with 20 gallons of foam, shown here with the older graphics and door logo.